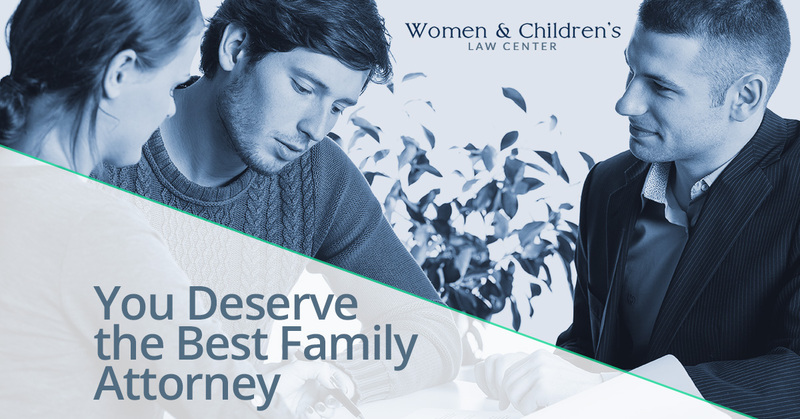 If your family needs legal help, you want the best. But the best can be hard to find. You’ll want to take into account objective, hard data. But, you don’t want to ignore things that might be more subjective in nature. Your legal counsel must know the complicated ins-and-outs of the law. When we say that Oklahoma law is complicated, we’re not trying to scare you. We just want you to understand the daunting amount of detailed information that is involved. Navigating Oklahoma legal statutes is a very difficult thing to do well. We pride ourselves on doing it very well, for every client. Your firm must have experts in the issues facing you and your family. There can be no room for doubt. You deserve someone who has been through the process, worked through any foreseeable problems, and is 100 percent prepared to advocate for you. That’s what we do here at The Women & Children’s Law center. How do you find someone like that though? Here are some things that we think you should look for. What school did they attend and how long have they been practicing? Education is important. Make sure the person you are considering working with attended, and graduated in good standing from a well-respected, accredited law school. What kind of commitment have they shown to families in their community? Do they volunteer their time to serve on boards of organizations that work with women and children? Do they work to make a difference in their community? Do they advocate for the rights of others? We believe that these are important characteristics to look for in an attorney, or in the leader of a law firm you are considering hiring. You want to work with someone whose values are evident in the way they live their life. Anyone can say that family values are important, but actions are what matter. Oklahoma experience matters. Especially in matters of family law, you’ll want to work with an attorney that has practiced locally for a long time, has continued their education throughout their career and has kept up with changes to local and statewide statutes. Breadth and depth of experience are important. Whether you need help with an adoption, custody or visitation, a divorce, or other family matter, the chances are pretty good that your family’s situation is unique in some way. Does your firm have attorneys with specialized experienced in things like estate law, criminal law, or financial law? More importantly, will they be available to coordinate and consult with the person representing you? Ask these kinds of questions during an initial consultation. How do they make you feel? If you ever get the impression that you are being railroaded, rushed into making a decision or signing a contract, or that you just aren’t being listened to, continue your search. You need to have confidence in, and feel comfortable confiding in the attorney you choose. You may be working together for a long time, and you will undoubtedly be dealing with some very personal, and sometimes painful, issues together. Expertise in cases involving military service. Experience with modifying visitation or custody agreements. An in-depth understanding of how child support is calculated. The ability to help enforce a child support judgement or modification. Need resolution on issues involving child custody, support and visitation. Involve complicated division of debt, assets, and property. Require short-term, temporary solutions for child care and safety. Include payment of support or alimony. Whether you are an adoptive parent or a parent that has chosen adoption for your own child, this is one of the most personal legal processes you’ll ever go through. Make sure you are working with someone who understands that. You don’t want someone representing your interests who sees this simply as any other legal transaction. You have a lot of choices when it comes to hiring someone to represent your legal interests. We’d be honored to be of service, and hope you’ll give us a call to schedule a no-cost consultation. We do what we do to ensure the wellbeing of you and your children.